India vs Australia 3rd Test Melbourne: India captain Virat Kohli has added another feather to his crown with a brilliant 82 in the 3rd Test at Melbourne. India vs Australia 3rd Test Melbourne: India captain Virat Kohli has added another feather to his crown with a brilliant 82 in the 3rd Test at Melbourne. He may have missed out on his 26th Test ton, but he ensured he pipped Rahul Dravid to register most runs in a calendar year in overseas Tests. Kohli now has 1138 runs in 2018, whereas Rahul Dravid had amassed 1137 runs in 2002. Apart from Kohli and Dravid, Mohinder Amarnath was next in the list, he scored 1065 runs in 1983 while Sunil Gavaskar had scored 918 runs in 1971 to make the top four in the list. This is an elite group to be a part of. Kohli already has a century in the series. 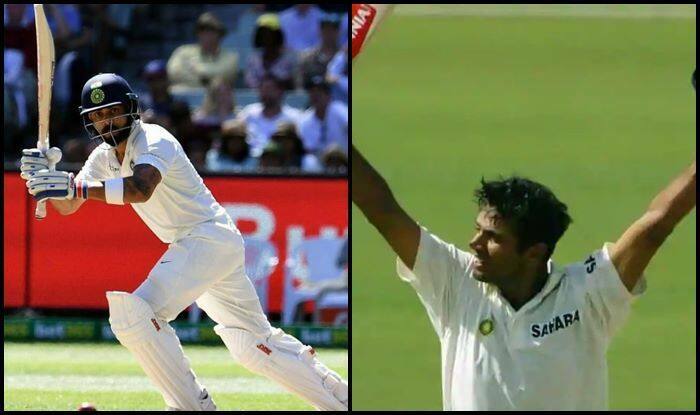 With his 82 run knocks, he along with Cheteshwar Pujara has put India in the driver’s seat in MCG. With the series locked at 1-1, the 170-run stand between the two cricketers has almost taken Australia out of the reckoning, it seems. Virat Kohli is now the first visiting player with three consecutive 50+ scores in the MCG’s Boxing Day Test matches. He scored 169 (1st inns) and 54 (2nd inns) during the 2014 Test match. Also, Kohli is number three in the all-time great list. Former South African captain Graeme Smith with 1212 runs in 2008 is at the numero uno spot in the highest Test runs overseas in a calendar year and at the second spot is Sir Vivian Richards with 1154 runs in 1976. It was Mitchell Starc who finally brought an end to India skipper Virat Kohli’s knock of 82. Kohli missed a century that was there for the taking but in the last ten minutes during his stay, he was suffering from back stiffness and the physio had to come out to address it. It seemed like a plan from Starc to make Kohli play more short balls, he hit the ball before he got out for a four in front of square. Off the next ball, which was slightly higher, Kohli tried to go up and under, only to find Aaron Finch at third man, who did not miss it.